Our Story - SUPPORTING THE TAYLOR HOUSE, INC. THE TAYLOR HOUSE, Inc. (herein referred to as THE TAYLOR HOUSE) was founded by Lisa Peat in January 2012. Lisa retired from corporate finance in 2004. In 2007, Lisa became a volunteer at Child Advocates of Placer County (CASA), where she advocates in court for foster youth. Lisa has always had an overwhelming concern for the foster children who are “lost” during their emancipation out of the system at age 18. Unfortunately, they do not yet possess the life skills to navigate through life. 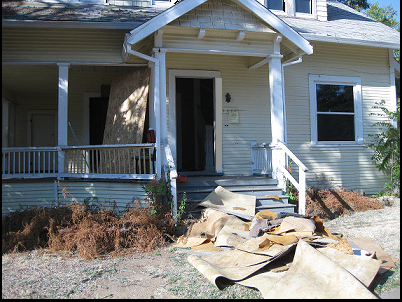 Out of those concerns, in 2011, she purchased a rundown, foreclosed 6-bedroom property in Downtown Roseville. Lisa and the community came together to create a safe place for these girls who have aged out of the foster care system. The Taylor House is Lisa’s goal, come to life. It encompasses all the things that Lisa and CASA have worked so hard to accomplish which is providing kids in need with reliable, responsible, caring role models and also creating a space where these young ladies can learn life skills and create responsible habits. ​them through its big problems." 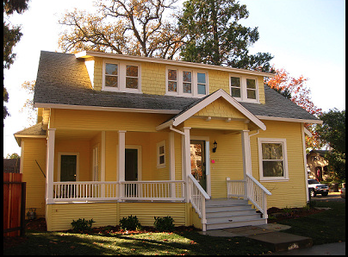 "I loved the house initially because I used to live in Downtown Roseville myself. It’s the perfect location because it is walking distance to stores, banks, the library and public transportation. It also offers the convenience of , eating establishments, entertainment, and parks nearby. I've always loved old homes and this house just seemed to encompass everything I saw in the young adults. The definition of the term “foster youth” are kids who have been abused, abandoned or neglected through no fault of their own. We worked on this house giving our time, effort and every ounce of TLC that we had, and transformed it into a beautiful symbol of commitment, strength and love. This is the exact same transformation that I hope to see in all of our girls." How long did it take? What was the process like? "I purchased the home with my own funds in September 2011. Escrow closed on a Friday and on Saturday we had 32 volunteers come and help me tear down, scrub, and rebuild. Close friends, family, CASA volunteers (including the program director and executive director! ), nurses and even our presiding judge came to help. It was hot outside and everyone worked for hours that day, from ripping out rotten wood to scrubbing floors. We took 3 and a half TONS of garbage out of the house. I’m not kidding. Even with the terrible shape that the place was in, with dedication and the help of the community, the house was ready to be occupied 90 days after purchase." ​How was this project financed? "I purchased the house outright with my own funds and then also paid for the entire remodel. Once the remodel was complete a few of my girlfriends and family members took on a project that we nicknamed “Adopt-A-Room”. Well, I was thrilled to see how much support I received from my friends and family in this aspect. They each adopted a room to furnish, decorate, and fund. Everything from the furniture to the welcome kits (which included: a towel, a journal, and other essentials that the girls may not have had). Each room has its own color scheme and theme and the girls are also allowed to personalize as they please. With the rooms taken care of there was still a lot of space to fill, the house is 2,200 sq ft. The owners of Northern California La-Z-Boy Furniture, Jim and Liz Reego, who both have huge hearts for foster care kids, donated a heaping $12,000 in furniture and really helped to create the homey feeling we were all hoping for. Other friends and family also donated things like kitchen appliances and electronics." "The Taylor House has shown me that there are people out there who care for young women inside the foster system. It's so great that this organizations exists. I probably would have no where to go. I believe The Taylor House will forever grow, as long as there are emancipated young girls who strive to better themselves as individuals and as people like you. This program would have never become a reality if it wasn't for you. And for that, I thank you from the bottom of my heart". You are a wonderful person! I hope we meet again soon, but until then, see you soon :)"